This car was purchased as a replacement for the S-15 GMC Jimmy. 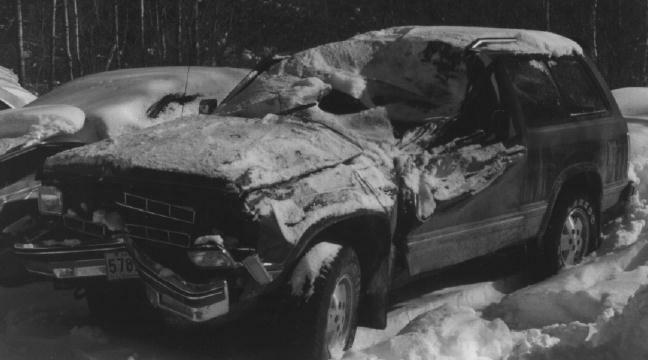 The Jimmy was wrecked in a snow storm after sliding into a telephone pole. 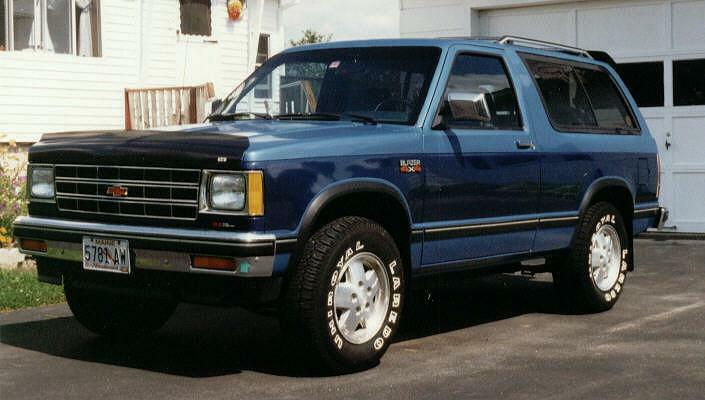 This Blazer was purchased with 59,000 miles on it. It was two tone bright blue/dark blue/bright blue, both colors in metallic. Options included AC, CC, Delay Wipers, ect...it had a 2.8L V6 5-Speed. This is a frontal shot. The color photo is quite nice. 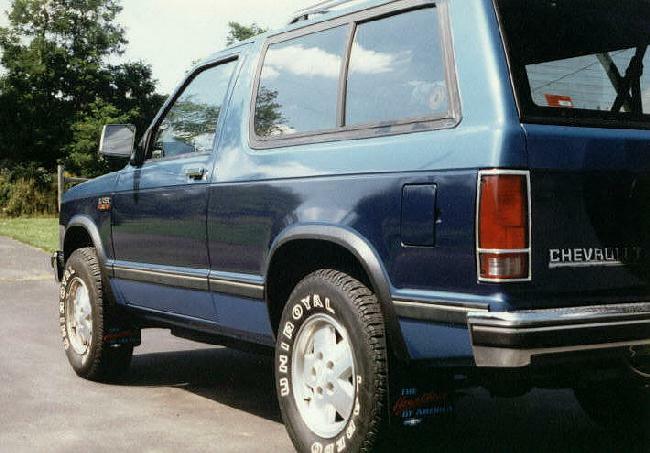 During our ownership, it was repainted by GM because of the dark blue paint flaking off and a rust holes in the front fenders where the fender flares rub. Nice rear shot of the car. What eventually happened? Same fate as the Jimmy. One cold icy day the road turned and I didn't . I hit a rock and a tree. All ended well because I walked away from the accident. Replacement for this car was the 1993 Grand Prix still in service today. The Blazer had 99,220 miles on it when it was totaled.